When you are saving money for your first home, it can be daunting to think about how much cash you will need to become a homeowner. While there are FHA-insured loans that require just 3.5% for your down payment, those loans require you to pay mortgage insurance for the life of the loan, which will keep your monthly payments higher. Most conventional lenders offer home loans with either a 10% or a 20% down payment, although some lenders offer loans requiring as little as 5% down. You will need to consult with a lender to evaluate your individualized loan options, but before you do that, you should consider the pros and cons of various down payment scenarios. Mortgage lenders evaluate your credit profile, your debt-to-income ratio, your job history and your assets to make an educated guess about whether you will manage to repay your loan responsibly. A 20% down payment is viewed as ideal by lenders because you are investing a significant amount of your own money in your home and therefore the lender’s risk is reduced. If you make a 20% down payment, you won’t have to pay private mortgage insurance. PMI provides insurance to the lender in case you default on your loan. In addition to eliminating the need for PMI, a 20% down payment will qualify you for a slightly lower interest rate than a borrower who makes a smaller down payment. Another benefit is that you will borrow less money, making your monthly payments smaller. In addition, you will instantly have 20% equity in your home, which you can borrow against in the future or get back as part of your profit when you sell. On the other hand, keep in mind that 20% of the average home price in the nation ($200,000) is $40,000. 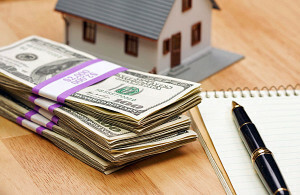 It can take years to amass that much cash and you will need additional cash for closing costs, cash reserves in case of an emergency and moving costs. In the meantime, home prices may have risen and interest rates may have gone up, both of which will increase the cost of your purchase. If you make a down payment of 10% ($20,000 on the average home) or 5% ($10,000 on the average home), then you will be able to become a homeowner faster, since you won’t have to save as much cash. If you are able to save additional cash, it’s a smart idea to keep a robust savings account to cover emergencies and even anticipated expenses of homeownership such as maintenance and repairs. You will need to pay PMI to your lender, which increases your monthly payments. Your home loan will be larger, so your monthly payments will be larger, too. Your interest rate will be a little higher, too, than for someone who makes a 20% down payment. In order to qualify for a mortgage, your maximum debt-to-income ratio must be 43% or less, so a smaller down payment will make it harder to qualify for a loan. The decision about the size of your down payment depends on a variety of factors including home prices in your market and your income. Find a good lender who will consult with you and help you make the best choice in the context of your individual financial plan.